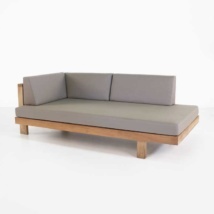 All pieces are sold separately so that you can get exactly what you want! 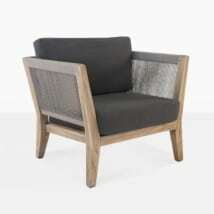 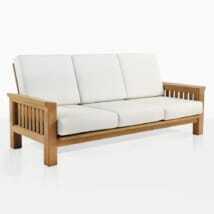 Teak Warehouse is known for an amazing collection of Teak Deep Seating outdoor furniture. 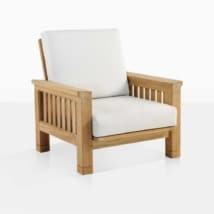 It’s the numerous collections, styles and quality are what make Teak Warehouse a leader in the outdoor furniture industry. 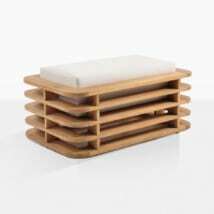 There are over 25 different collections to choose from. 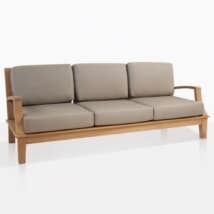 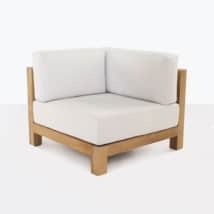 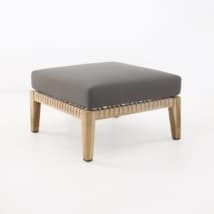 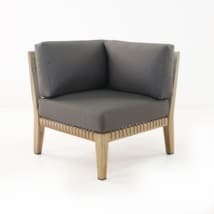 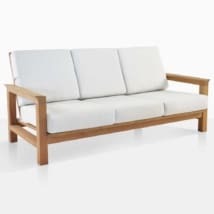 Teak Deep Seating includes pieces such as three seater sofas, love seats, club chairs, coffee tables, ottomans and side tables. 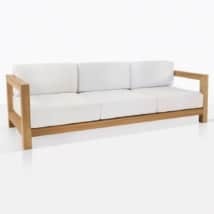 Some collections offer these fixed, stand alone units, and other collections include sectional sofas so that you can customize the sofa to fit your space whether large or small. 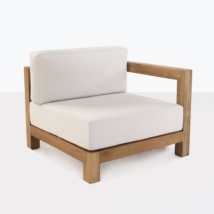 Each family collection has a unique style and design. 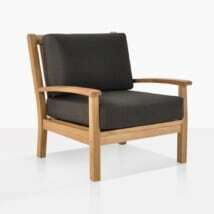 Some are modern and contemporary, some are traditional, classic and mid-century. 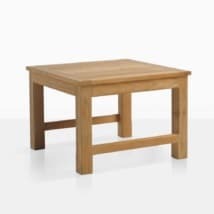 There are many different styles to choose from. 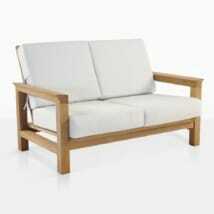 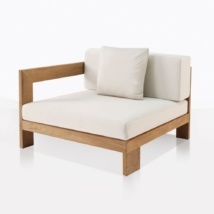 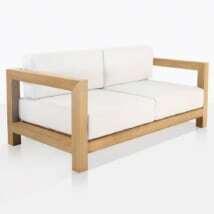 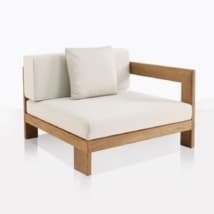 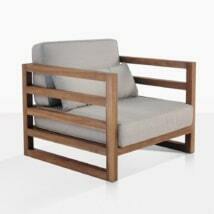 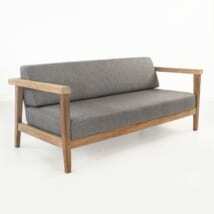 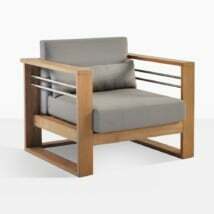 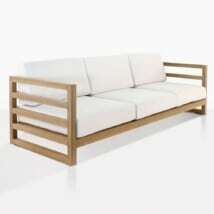 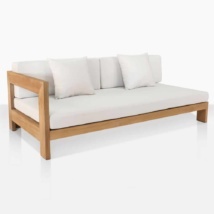 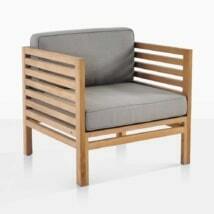 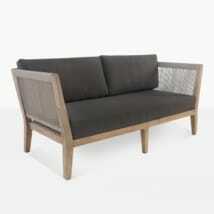 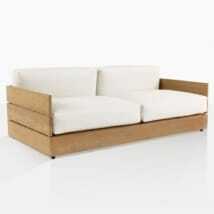 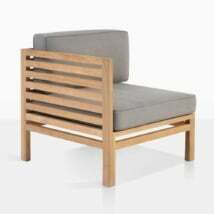 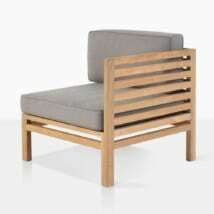 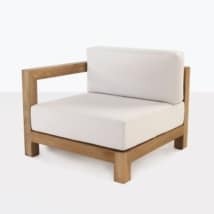 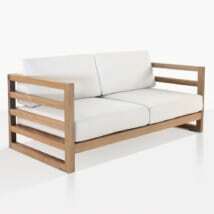 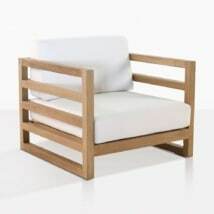 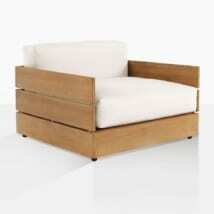 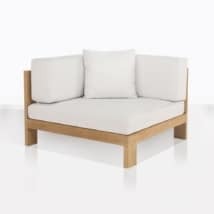 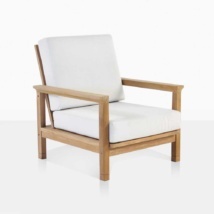 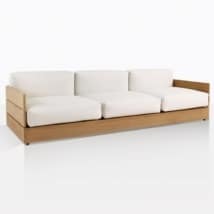 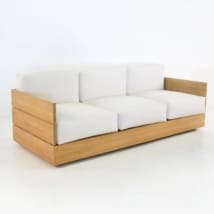 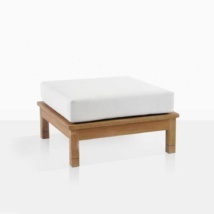 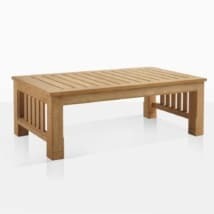 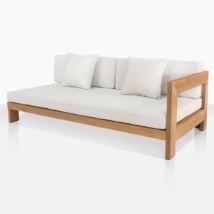 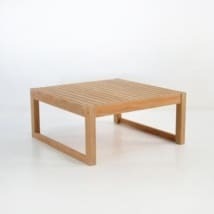 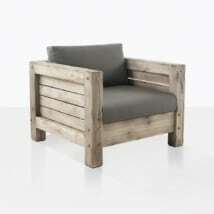 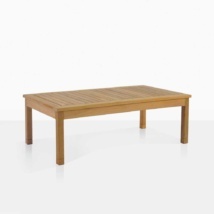 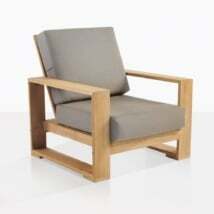 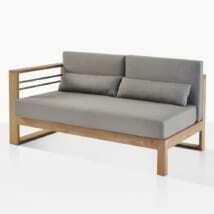 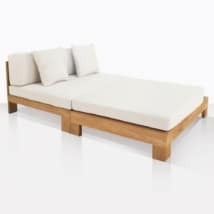 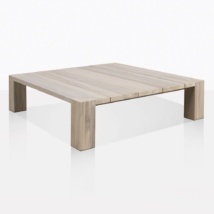 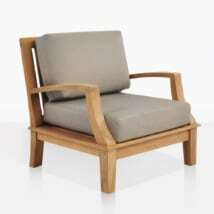 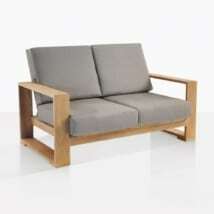 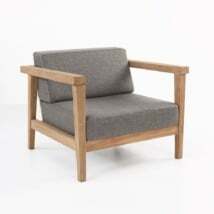 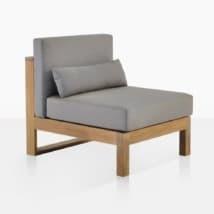 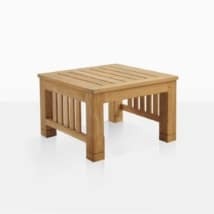 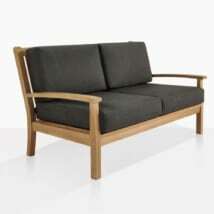 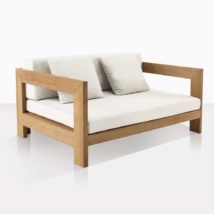 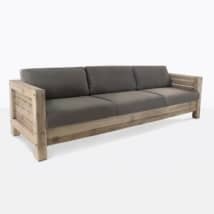 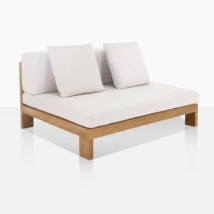 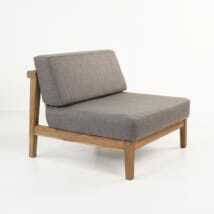 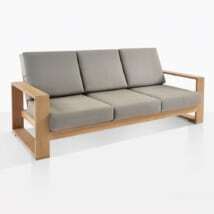 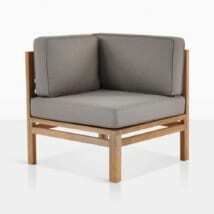 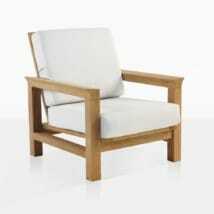 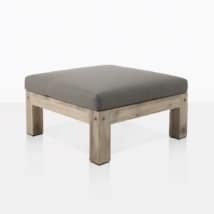 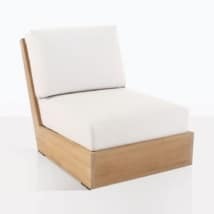 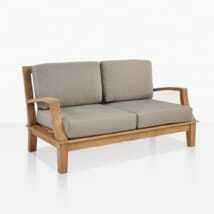 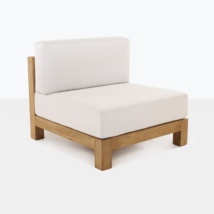 Teak Deep Seating outdoor furniture is substantial pieces made with either a-grade teak or reclaimed teak. 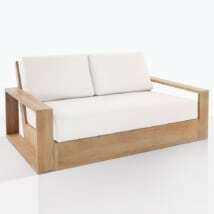 The seats are large and deep and very comfortable. 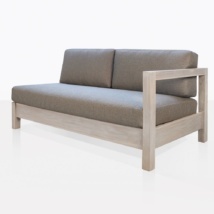 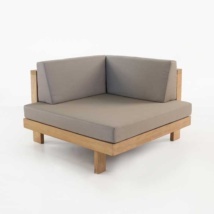 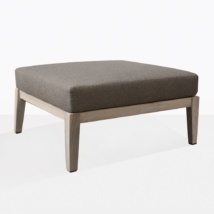 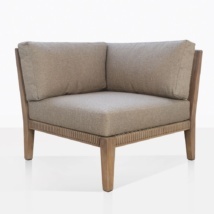 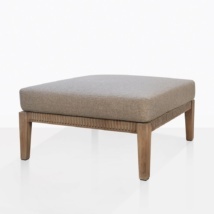 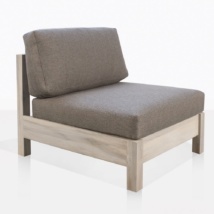 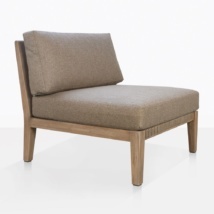 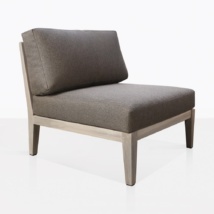 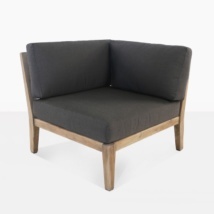 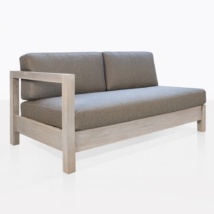 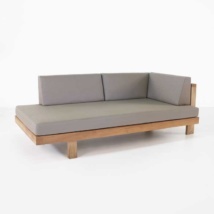 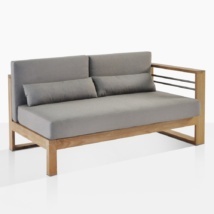 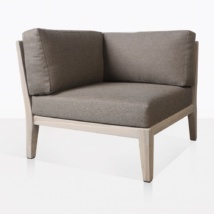 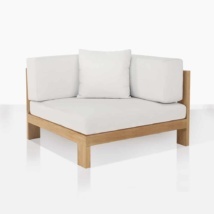 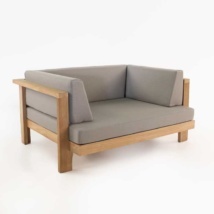 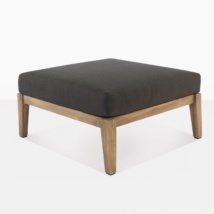 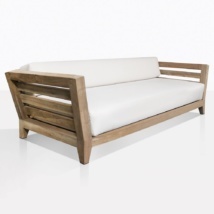 Every piece of deep seating at Teak Warehouse includes Sunbrella® cushions as shown on site. 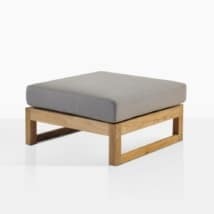 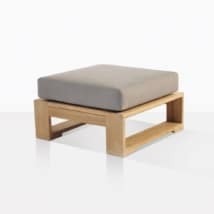 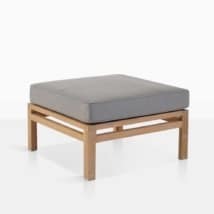 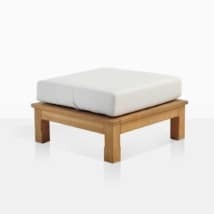 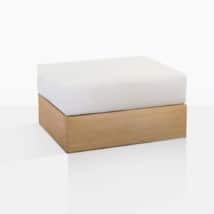 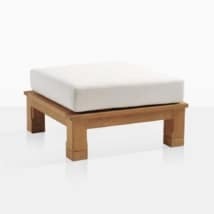 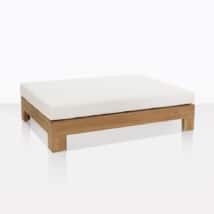 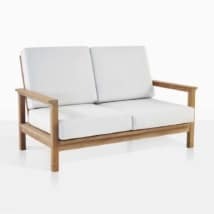 These luxurious and durable cushions along with the strong teak frame come together to create a very comfortable outdoor seat that you won’t want to get out of. 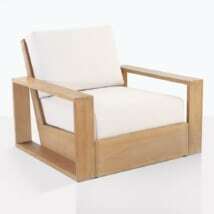 A-Grade teak is considered the best wood to use for outdoor furniture. 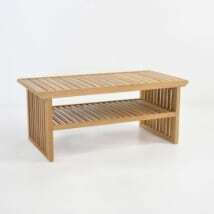 Its high oil content makes it strong and durable and moisture resistant. 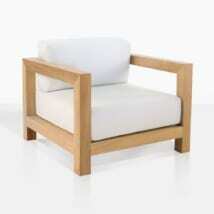 You can choose to leave it natural or have it professionally treated to keep its blonde color. 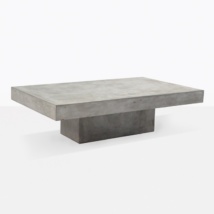 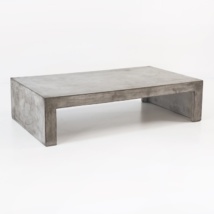 If you leave it natural it will slowly patina to a beautiful gray color. 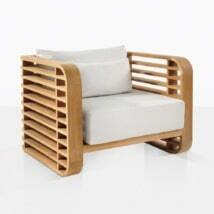 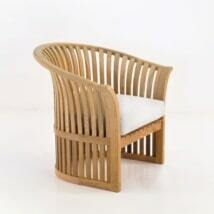 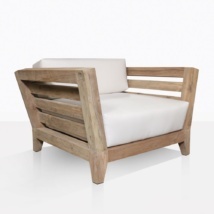 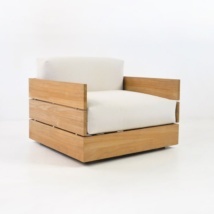 The second option in Teak Deep Seating outdoor furniture is using reclaimed teak. 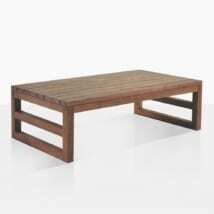 Reclaimed teak has been recycled teak from old structural beams and other applications where the teak could be repurposed and made into beautiful and interesting furniture with a history. 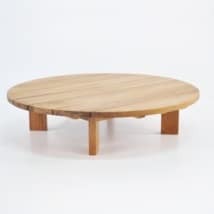 Each piece will have interesting characteristics which makes it stunning and unique. 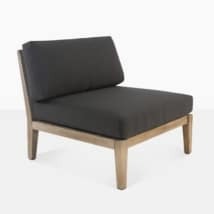 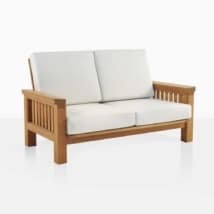 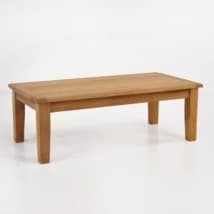 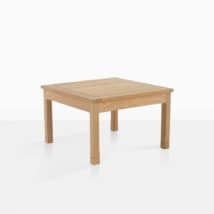 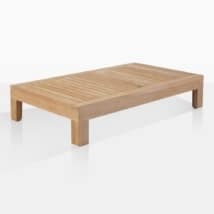 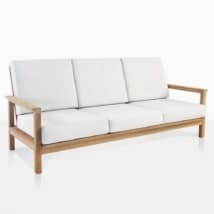 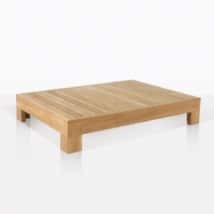 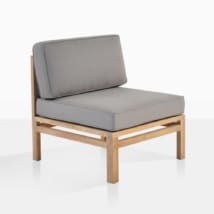 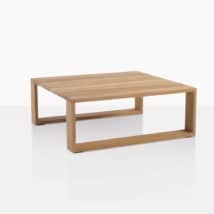 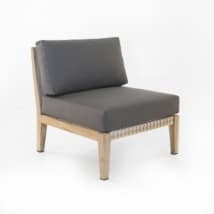 You can be sure if you purchase any Teak Deep Seating outdoor furniture from Teak Warehouse that you are purchasing furniture that will last. 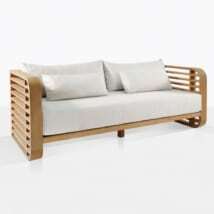 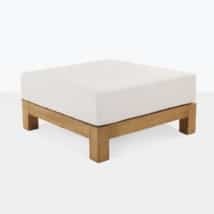 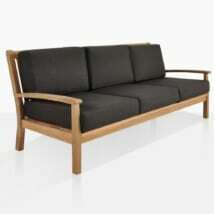 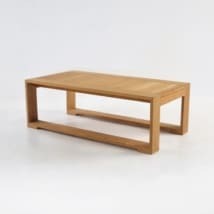 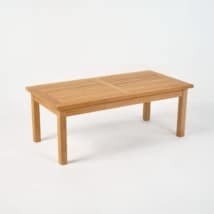 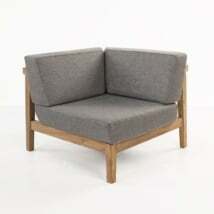 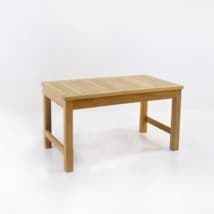 With some easy maintenance and care you will have this furniture for many many years. 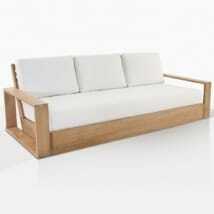 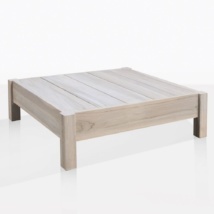 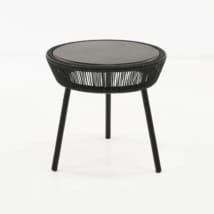 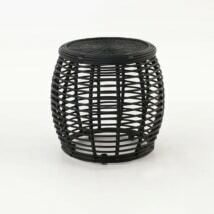 Enjoy your wonderful outdoor space and relax on this wonderful natural material.